The correct use and care of protective gloves is an important aspect of ensuring everyone’s safety in the workplace. Even a small injury can cost a worker the full use of their hand or impede their performance. In some circumstances, the incorrect use of safety gloves can not only endanger the safety of the person wearing them but even the safety of others (such as when handling toxic chemicals and spreading them outside of the work area on the gloves). This is why the right gloves, their inspections, correct storage and care are so vital. Providing workers with gloves is only the first step to ensuring their hand safety. They also need to be trained in their gloves’ correct use, learn why they’re necessary, when they should be worn and which types of gloves are right for which jobs. Hand protection training should include information on how to properly wear, adjust and remove the gloves, and it should provide a clear outline of the PPE’s limitations. It’s also a good idea to perform a demonstration of how to spot signs of wear and tear. Training must also address proper care and maintenance, which should always be performed according to the manufacturer’s recommendations. Work gloves should fit comfortably and never be too tight or too loose. The material must be appropriate for the type of work performed and should stand up to the tasks involved. Workers should have all the relevant information pertaining to their gloves, including whether or not they are reusable. If they are, workers must know how long the gloves can be used. 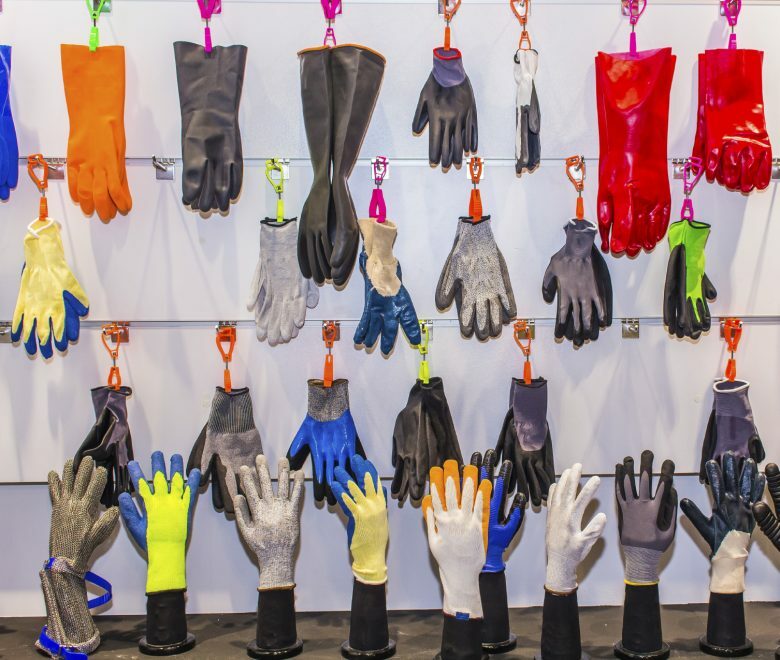 For example, chemical-resistant gloves can be reused but the choice to do so needs to be made with care, taking into consideration the gloves’ absorptive qualities, the toxicity of the chemicals they come in contact with and even the duration of exposure, storage conditions and temperature. Keep gloves clean and dry. Store gloves in appropriate conditions for their use. For example, rubber-insulated gloves should be stored in a cool, dark area that is far from any sources of heat or steam. Nothing should be placed on top of gloves as that might distort their shape. Make sure backup pairs are always available in case gloves get damaged or need to be washed or dried. Check for holes, tears, cracks, discoloration, stiffness and other damage or signs of damage before each use. A visual inspection might be enough in many cases, but sometimes, depending on the type of glove, a more thorough inspection can be performed (for example, filling some gloves with water can reveal pinhole leaks). The correct use and disposal of gloves in health care settings require extra attention due to the possibility of contamination. Replace worn or damaged gloves right away. Don’t try to fix or patch them unless the type of glove lends itself to repairs as certified by the manufacturer. The periodic evaluation of a PPE program is important to ensure its relevance and continuing success. Conditions and operations can change or new and better PPE may become available, so it’s vital to keep the program current. Additionally, any PPE program must include training in proper use and care of the equipment not only to extend its usefulness but to ensure that it always protects the workers’ hands and, by extension, their livelihood. Even a brand-new piece of PPE, when stored or cleaned incorrectly, can be responsible for debilitating injuries, so its proper maintenance is just as important to hand safety as its proper use. Safety trainers can get better engagement and knowledge retention by changing how training is delivered—often multiple training methods are required to be successful. This presentation will teach you which training formats are most effective, and tactics to deal with common challenges in safety training.